This fantastic Grade II listed building was originally built by a local philanthropist, Arthur Ashpital. He left it to the community for charitable purposes, however, it was sold to a speculative developer instead. Clapton Arts have a great plan to use the building as a Creative and Digital Skills centre for everyone in Clapton, with regular workshops, events, an annual series of prizes and grants to help people get started in new projects and business. The building up for auction July 19th 2018. 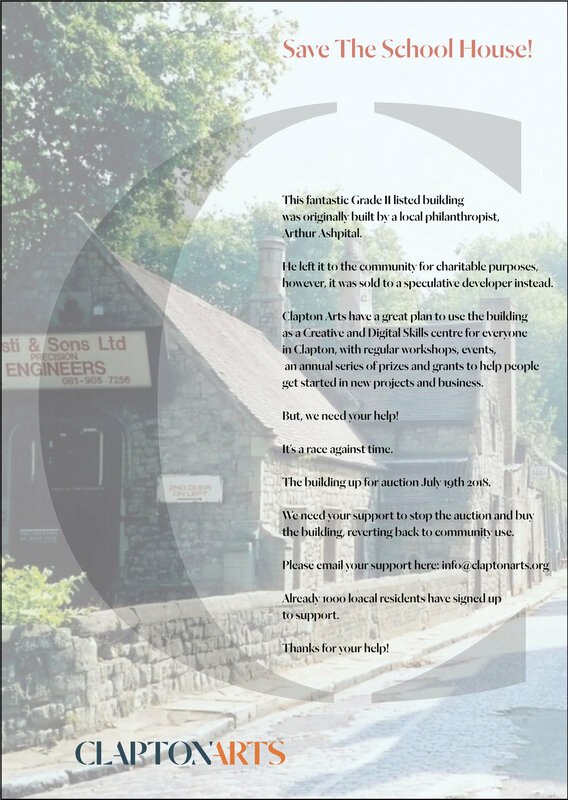 We need your support to stop the auction and buy the building, reverting back to community use. Already 500 local residents have signed up to support. Clapton Arts are launching their first photographic competition. Photographers are encouraged to interpret this years brief 'lost & found' in it's widest sense, with a prerequisite that all photos have to be taken in Clapton or Hackeny. Juges:Gemma Bootz (fashion photographer), Jorn Tomter (portrait photographer), Pinny Grylls (Ethnographer), Peter Ottonine (St John's). An exhibition will be held displaying all finalists, as selected by the judges at Kreative House. There will be significant prizes and press for the top three entries. 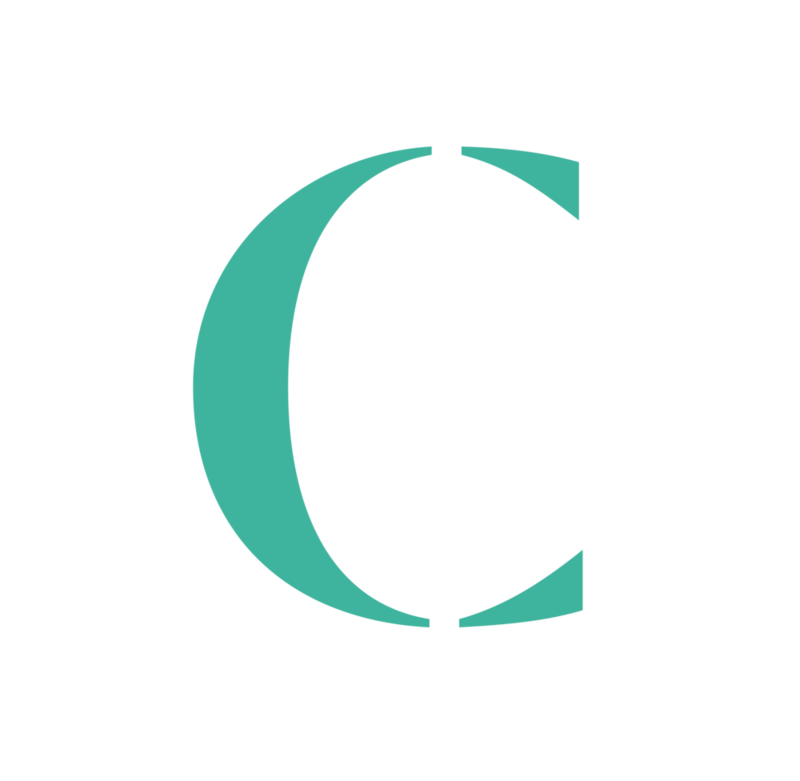 Clapton Arts Trust formed in 2010 to save the old tram depot in Upper Clapton Road and the former Clapton Cinematograph building in Lower Clapton Road. Our current objectives are; to save the Old School house in Lea Bridge Road and to promote the Arts, in a wider context, within Hackney. To advance the arts, crafts, heritage & culture for the benefit of the community in Hackney.To work with established and emerging artists to create an artistic and cultural quarter in Clapton.To regenerate historic and unused heritage buildings. Provide access for all to local regenerated heritage buildings & promoting awareness of local heritage. Provide education in the arts (including visual and performing) and crafts & promoting artistic appreciation and wellbeing. Provide locally unique, affordable and sustainable studio, work and live/work spaces for local artists. To enhance employment, education and training opportunities for artists and craftspeople, by the provision of sustainable studio and workspace, buildings and/or land on favourable terms. To promote, maintain, improve and advance the education, cultural health and well-being of the public in the arts (including visual and performing), crafts and culturally, through the provision and maintenance of facilities, educational programmes, classes and workshops. The Charity will endeavour to provide opportunities for participation in the facilities, educational programmes, classes and workshops, for hard to reach/BME communities, people with learning disabilities of all ages, the elderly and youth of Clapton and the wider community of Hackney. A Hackney resident since 1978, Liz is the MD of Jamm Print and Production in both the UK and Australia. Liz has experience as an employer of 50+ staff, and of the difficulties and joys of restoring a Grade II listed building – the Jamm offices and factory in SE London were restored from an original condition worse even than the Old School House, to the satisfaction of English Heritage, the London Borough of Greenwich, and Jamm’s staff and customers. Holly-Gale a Social and Cultural Historian employed as a University Lecturer and External Examiner in the same. She has put forward several small but successful bids for funding. With her collaborations with local organisations and community projects containing to Clapton, she has extended this legacy with the successful grant applications to the HLF, the Football Foundation, and the Big Lottery and EU Lottery funds. She is committed to Community Engagement, especially in the areas of archive and museum presentation. She is a Trustee of the London Gypsies and Travellers and the Chair of their Risk Committee. Julia Lafferty, a resident of Hackney since 1981, is a member of the Clapton Conservation Areas Advisory Committee, an advisory body on conservation issues to the London Borough of Hackney. She also serves on the committees of the Hackney Society and the Friends of Clapton Cinematograph Theatre. Previous to this she sat on the local committee of Sutton House, a National Trust property in Hackney. Her working life was spent in the education and environmental protection sectors, most recently with the Campaign to Protect Rural England. She is a regular contributor to Hackney Society publications and to “Hackney History”, the magazine produced by the Friends of Hackney Archives Department. The Board of Trustees is made up of local people from a wide variety of professions and backgrounds and ages who have wide experience in art and design (including urban design), local history and heritage. Saving the Old School house on Lee Bridge Road, is are current primary aim. Your support will form the basis of this campaign and help the preservation of this important heritage building. We also encourage as many local residents interested in the Arts to join Clatpon Art Trust. Current Trust membership is approaching a hundred and growing fast.